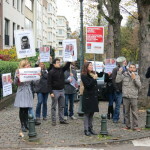 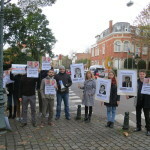 Home Events Brussels demonstration: Freedom for Azerbaijan’s human rights defenders! 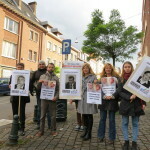 Brussels demonstration: Freedom for Azerbaijan’s human rights defenders! 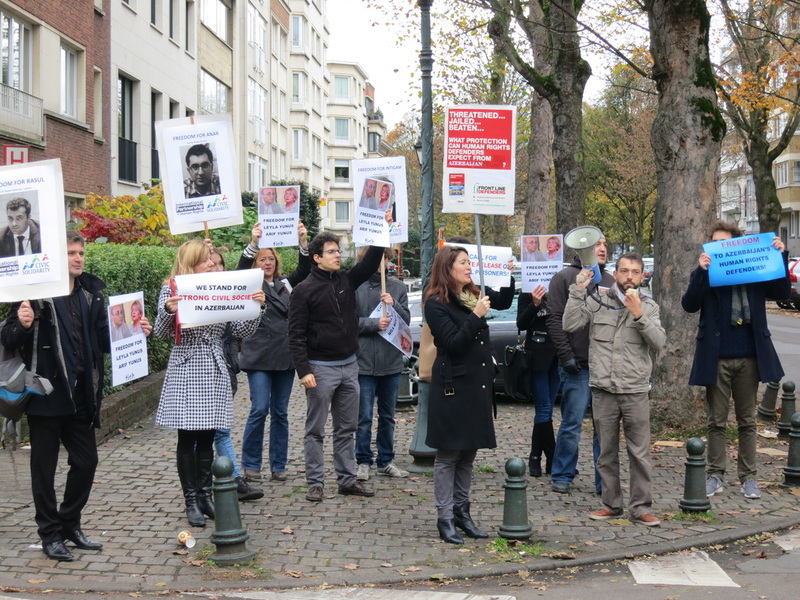 Today International Partnership for Human Rights (IPHR), the International Federation for Human Rights (FIDH) and Frontline Defenders held a demonstration in Brussels to demand freedom for Azerbaijan’s human rights defenders. 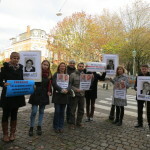 The demonstration took place outside the embassy of Azerbaijan. 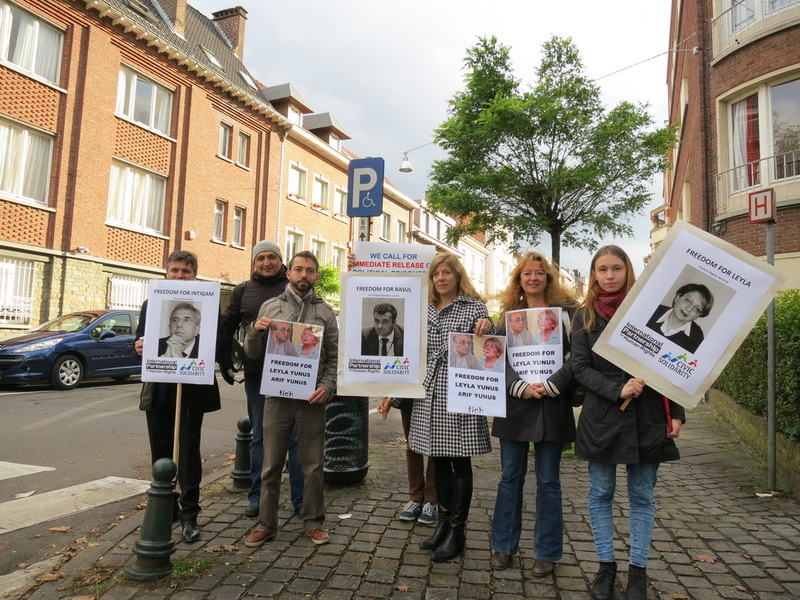 In the last few months, Azerbaijan’s human rights community has been subjected to an unprecedented crackdown and a number of well-known human rights defenders are currently in custody or prison on spurious tax evasion and other charges. 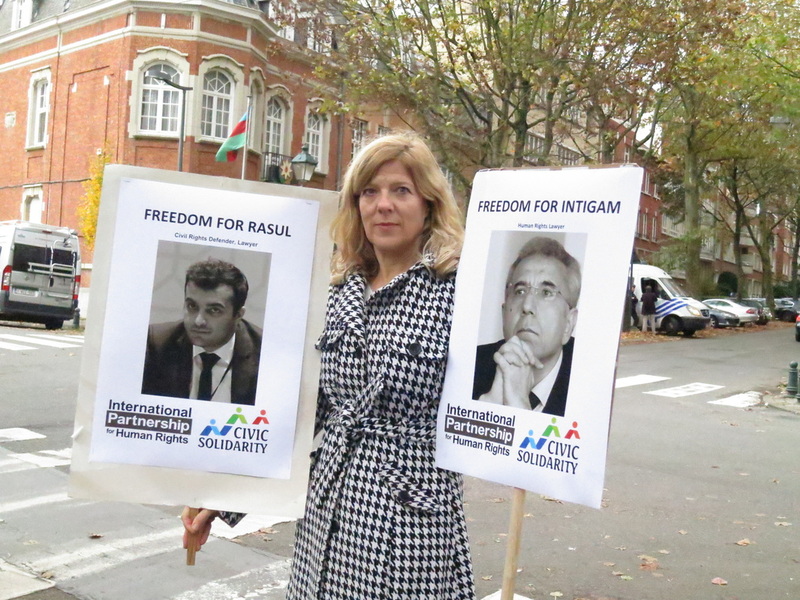 Others have been forced into hiding. 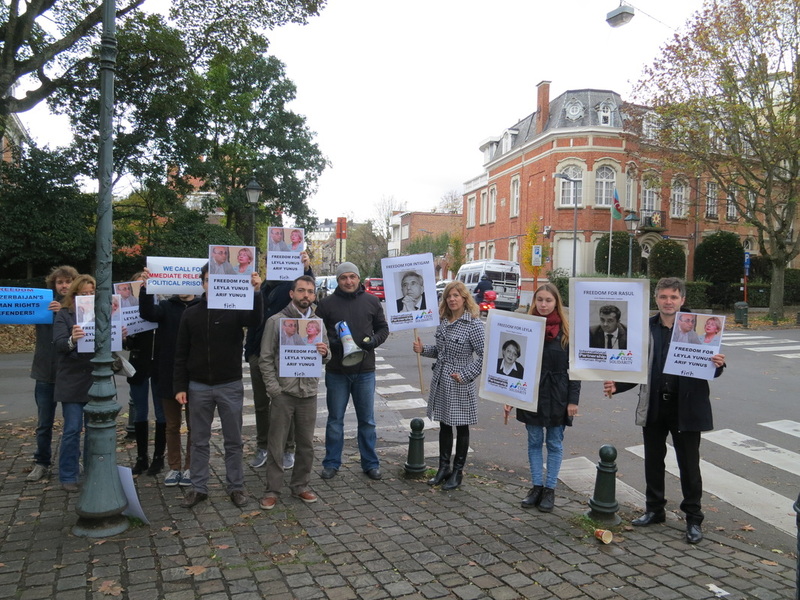 The situation paradoxically worsened to an unprecedented level during Azerbaijan’s six-month Chairmanship of the Committee of Ministers of the Council of Europe, a body founded on human rights principles. 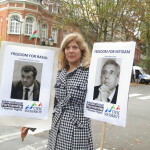 Its chairmanship ended last week. 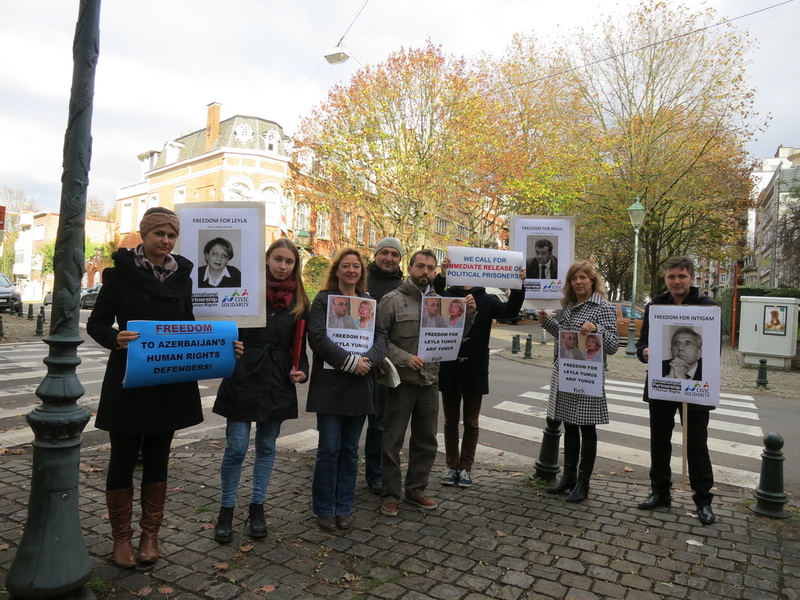 The following press release was issued by IPHR and the Observatory for the Protection of Human Rights Defenders (which has been created by the FIDH and the World Organization against Torture) on this occasion.